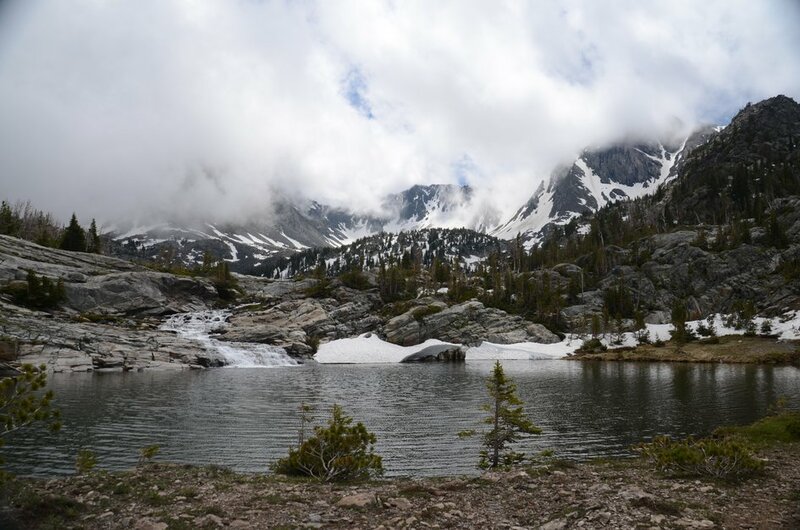 Pine Creek Lake is a 32 acre pond that sits in a huge basin surrounded by granite slabs on the north slope of Mount Black. 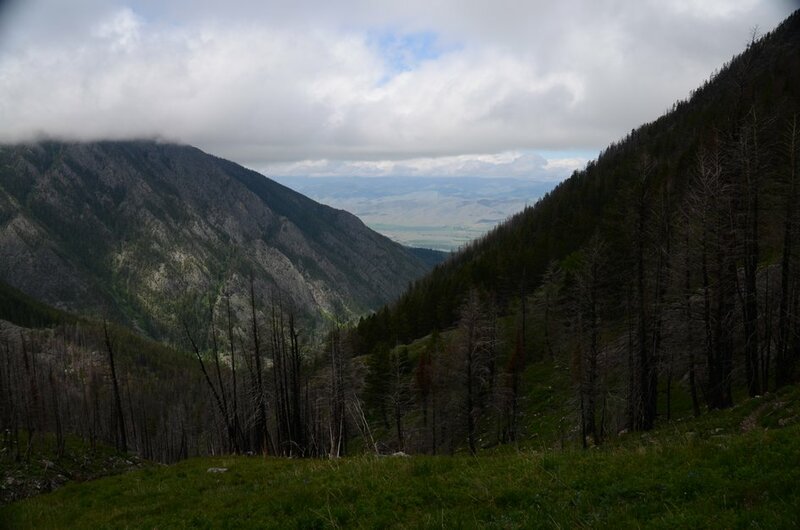 The trail is located in the Absaroka Beartooth Wilderness just outside of Livingston, about 40 miles from Bozeman. 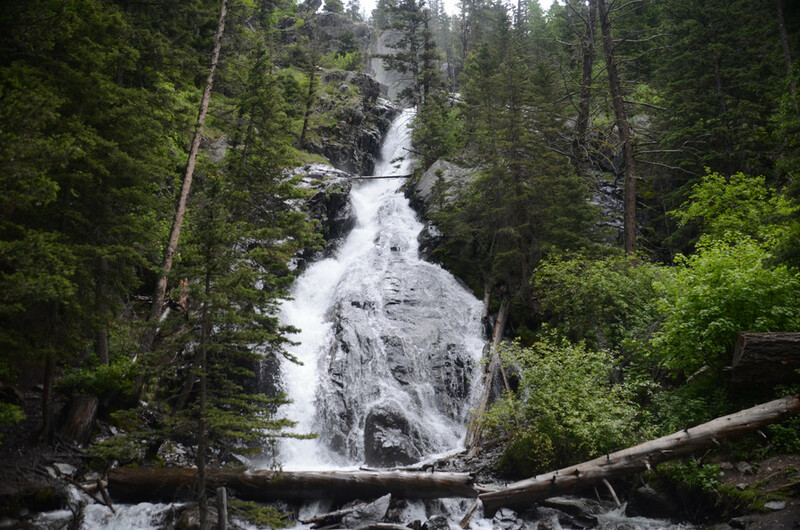 The trail is well beaten and winds through mature forest by way of Pine Creek Falls. 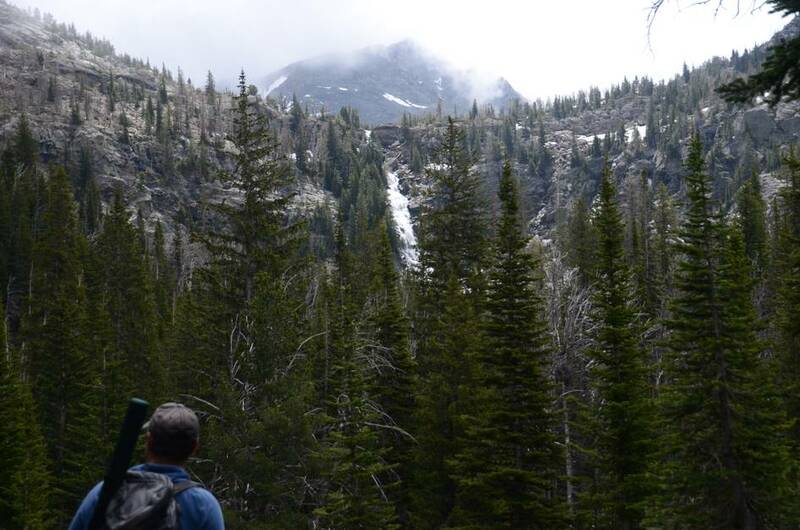 Don't be discouraged by the busy trailhead; most people turn back at the falls a mile into the hike. 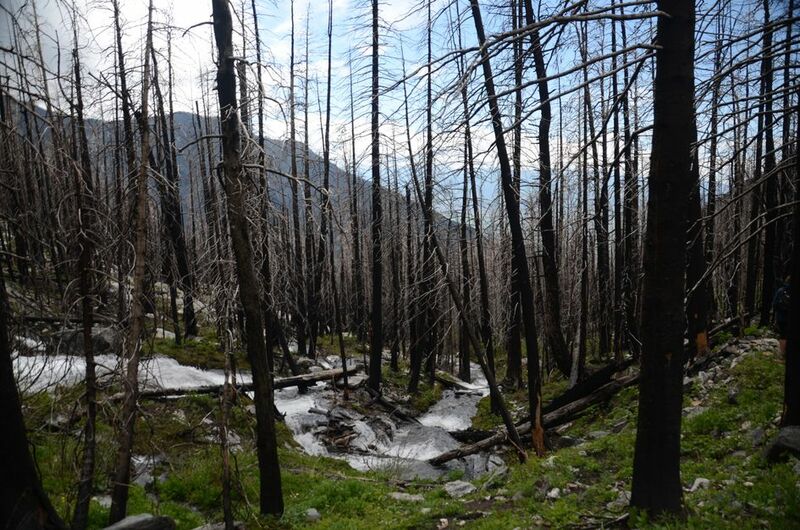 The 5.5 mile, 3,400 vertical-foot approach to the lake is filled with sweeping valley views and a series of waterfalls and burn areas. 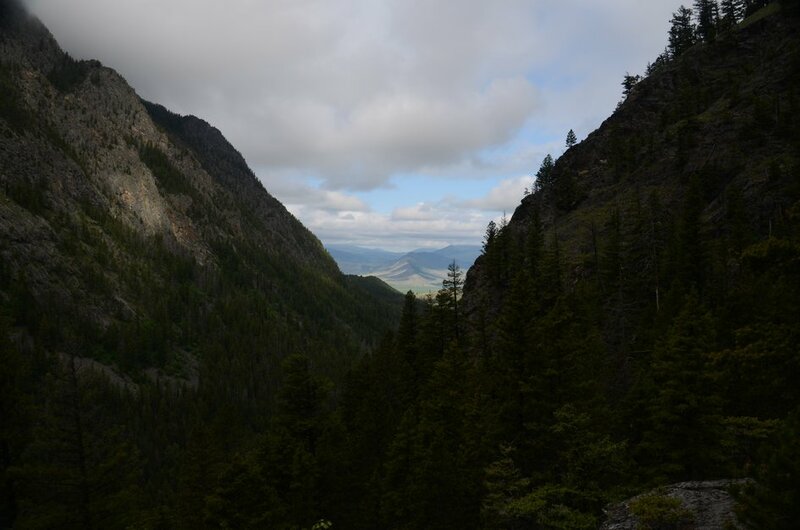 The reward for the long and strenuous hike is one of the most stunning landscapes in Absarokas. From Bozeman, head East towards Livingston on Interstate 90. When you get to Livingston, take exit 333 for US-89 South through Paradise Valley. Head South for about three miles. When you see a sign for Carter's Bridge Fishing Access, take the left onto MT-540. You'll be on this road for almost 8 miles until you see some signs on your left for Luccock Park. Take the left onto Luccock Park Road crossing the cattle guard, drive another three miles and you'll hit a dead-end at the Pine Creek Campground and Trailhead. 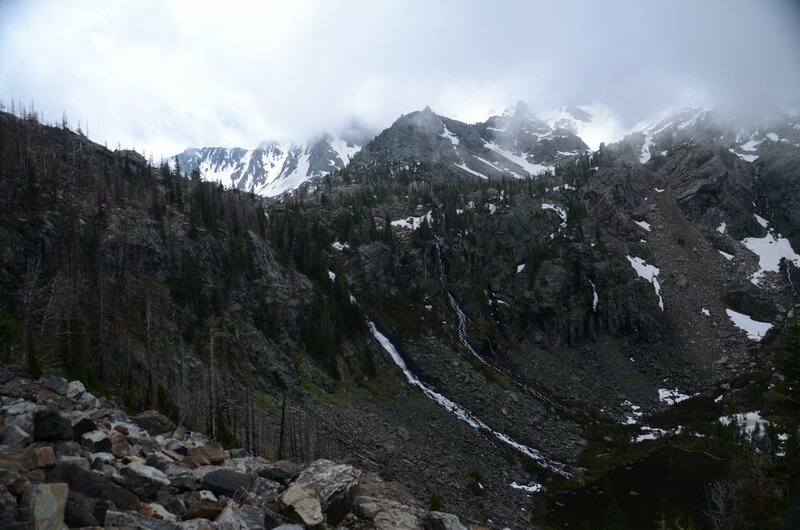 The hike to Pine Creek Lake starts out deceptively easy. The first mile is a flat, wide trail to Pine Creek Falls. However, after the falls the trail turns sharply upwards and gains the majority of its 3400 feet in elevation in the remaining 4.5 miles. 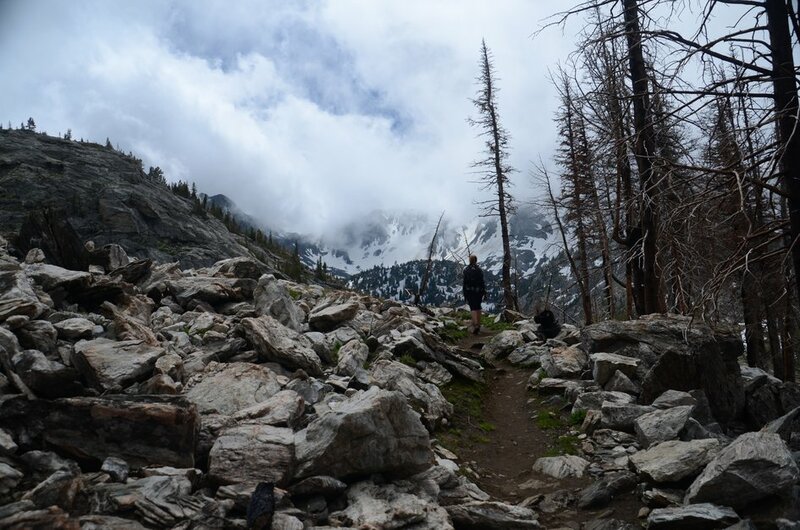 Because of the constant incline and difficult water crossings, this hike is not recommended for beginners. 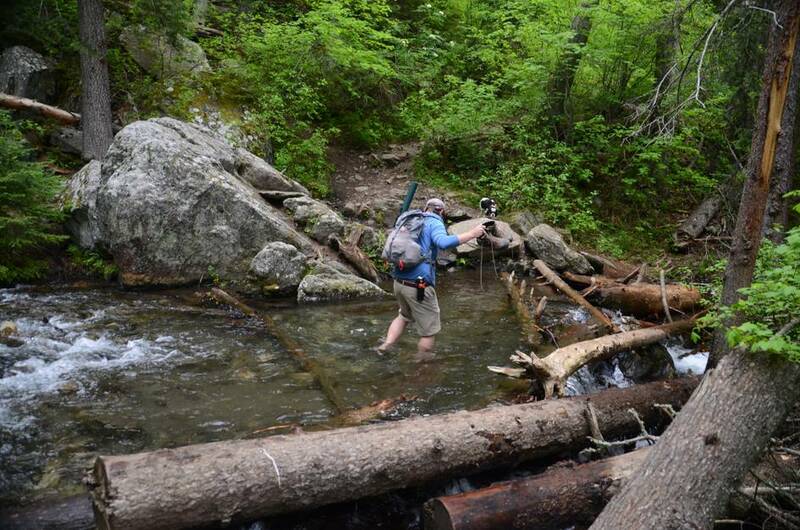 The long and constant elevation gain combined with water crossings make it difficult to move fast on this hike. Averaging 1.25 mph it will take you 4:45 to get to the lake. Consider taking a 45 minute break or so at the top to take in the views and make it back down for a 9 hour day trek. 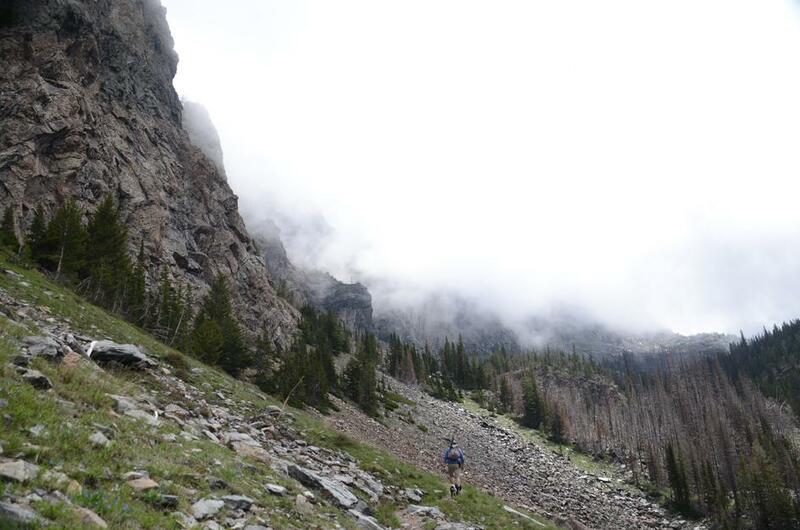 This route starts at 5611 feet above sea level and ends at 9000 feet. The hike moves steadily uphill with little, if any downhill sections. 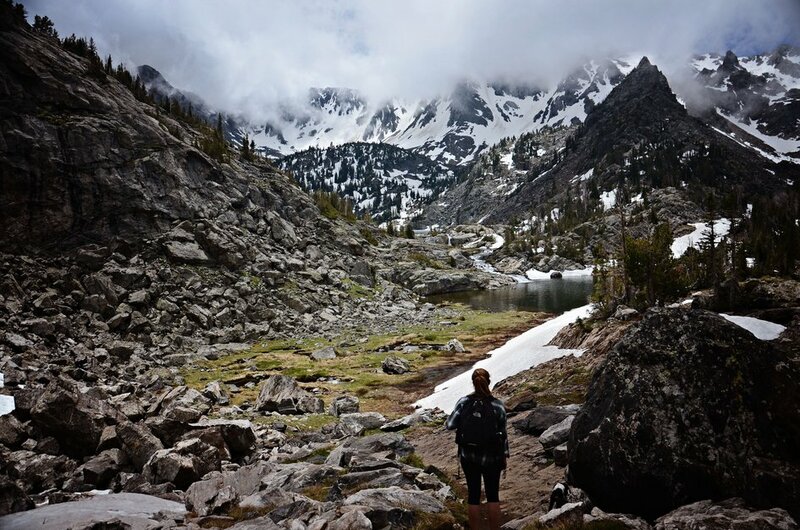 You'll have a hard time finding another hike that ends with such an inspiring view. 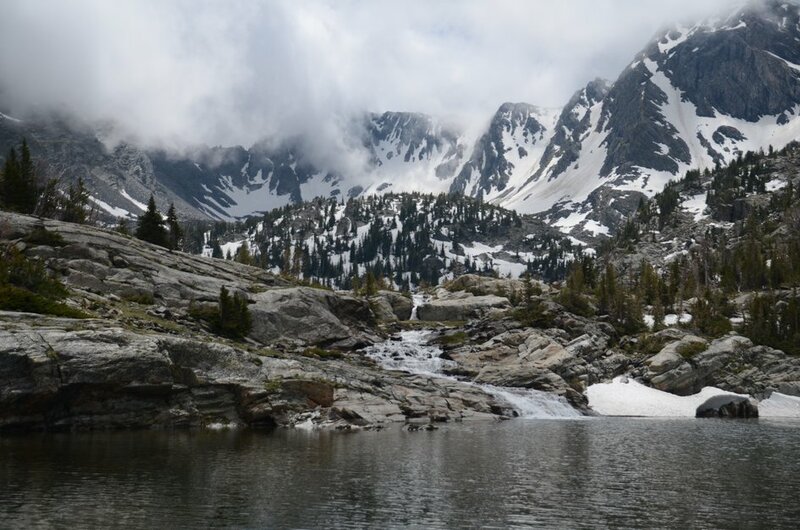 The high alpine lake, the 10,000 foot peaks with year round snow, and the sounds of a creek flowing over a 500 foot cliff create a setting that you won't soon forget. 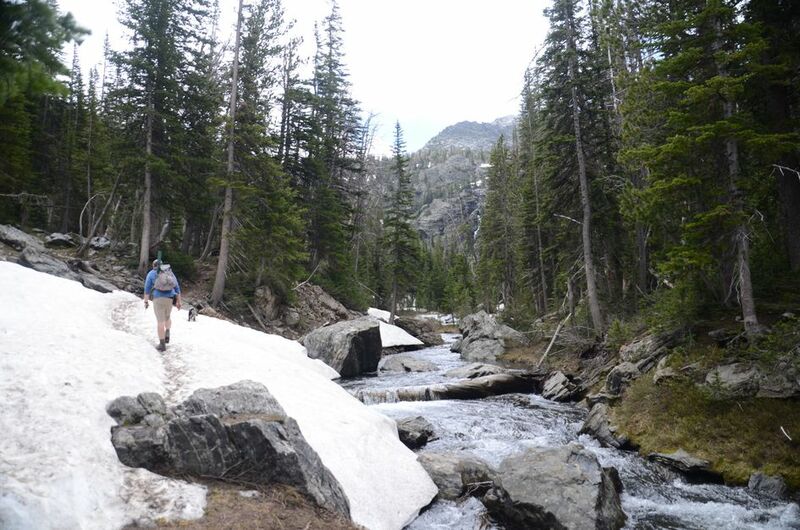 This trail runs alongside and intersects Pine Creek several times throughout the hike, not to mention ends at a lake. Opportunities for water purification are plentiful. Due to the length and difficulty of this hike, you'll need nourishment to keep your energy up. 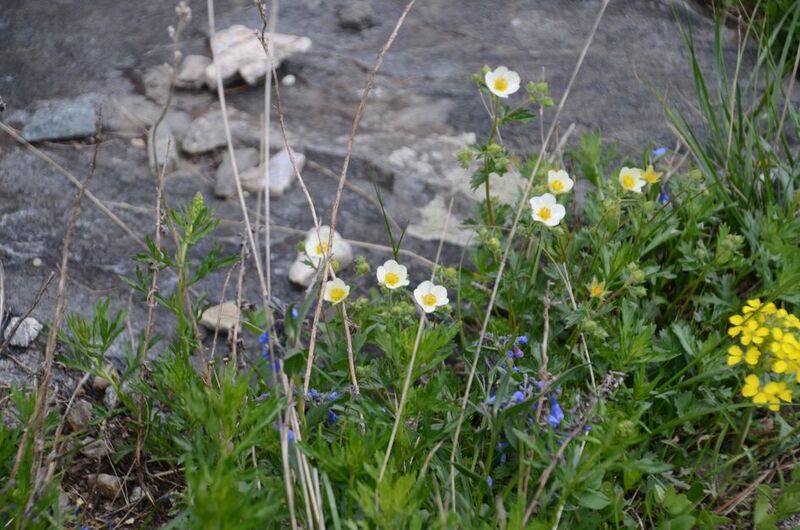 It's recommended to bring a small lunch to eat up at the lake as well as some trail snacks to munch along the way. The majority of the trail is in good condition and is always easy to find. 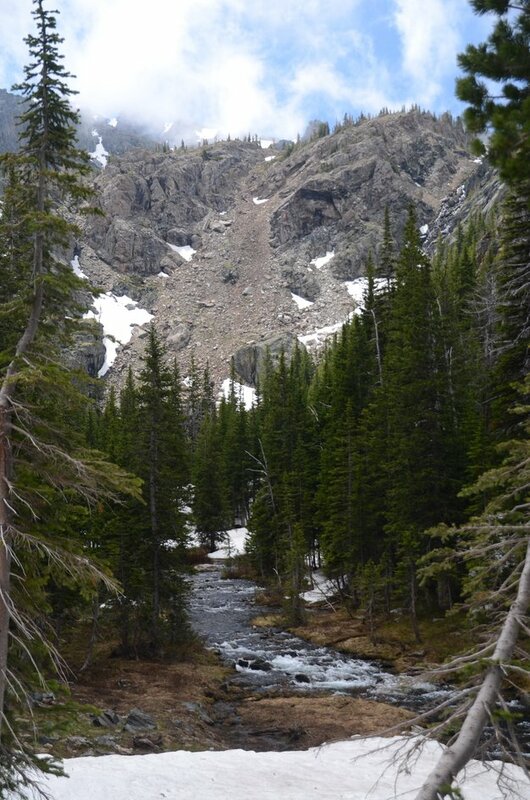 However, there is a high number of deep stream crossings and some particularly steep sections of trail that can make the hike tricky at times. 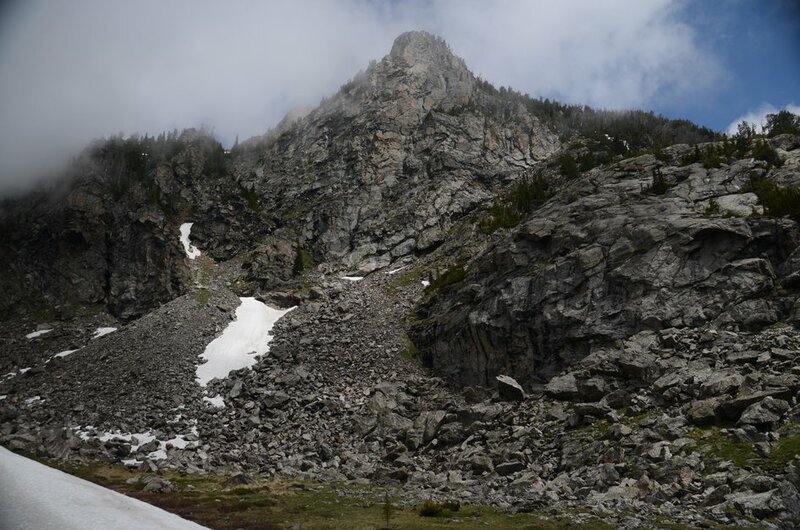 Expect snow into June and again in late September which could add a significant amount of difficulty to the hike. There is plenty of shade and water along the trail for your pooch, but leave him at home if he can't swim or exert himself for long periods of time. Once you're on Luccock Park Road, it gets a bit narrow and windy, but nothing rough—pavement the entire way. 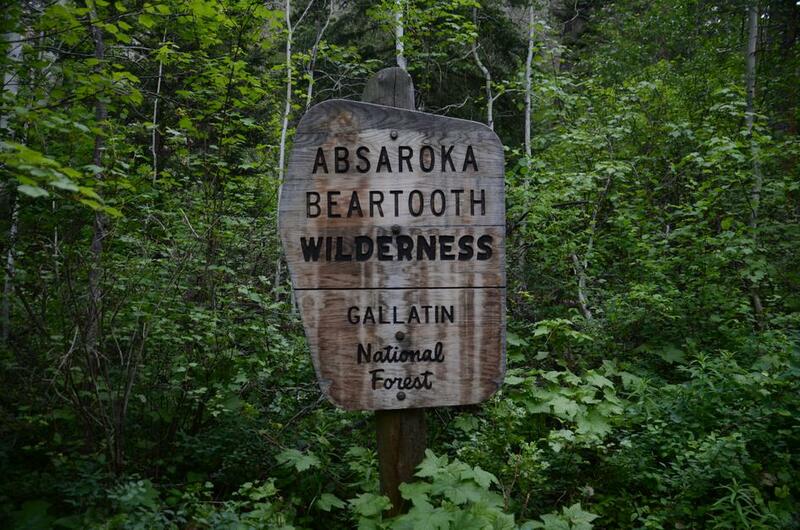 Beartooth Publishing's Absaroka Beartooth Wilderness Map covers this whole hike. Their cover photo on this map even highlights Pine Creek Lake! The trailhead will appear busy due to the short and popular hike to the falls, but you should have no trouble finding a spot. The trailhead is located at the Pine Creek Campground which has a vault toilet. You'll drive past it on your way to your parking spot. Traffic will feel heavy for the first mile of the hike leading up to falls. It will thin out from there, but despite its difficulty this hike sees its share of people due to the sheer beauty of it. Especially early in the year, this hike involves several water crossings, some of which are knee-deep. Consider bringing water shoes, a small towel and trekking poles to aid in these crossings. Additionally, the hike gains a significant amount of elevation. The weather at the top has potential to be much colder than at the trailhead—bring extra layers and be prepared. Due to the water and forest there's potential for bugs on this hike depending on the weather and time of year. Bring your bug spray in case. There's a fair amount of shade and cover on this hike preventing you from being too exposed. 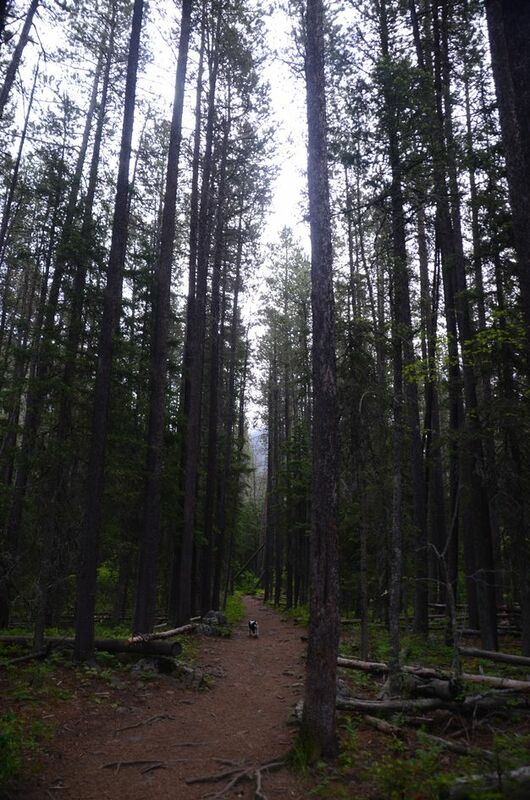 Especially when you're lower, the hike runs through a thick conifer forest. 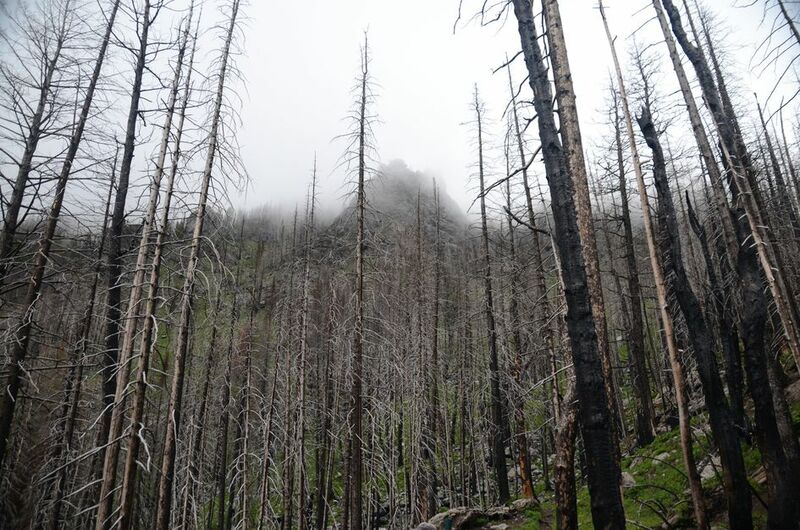 As you get higher, you enter some burn, and eventually get above the majority of the treeline and cover thins. 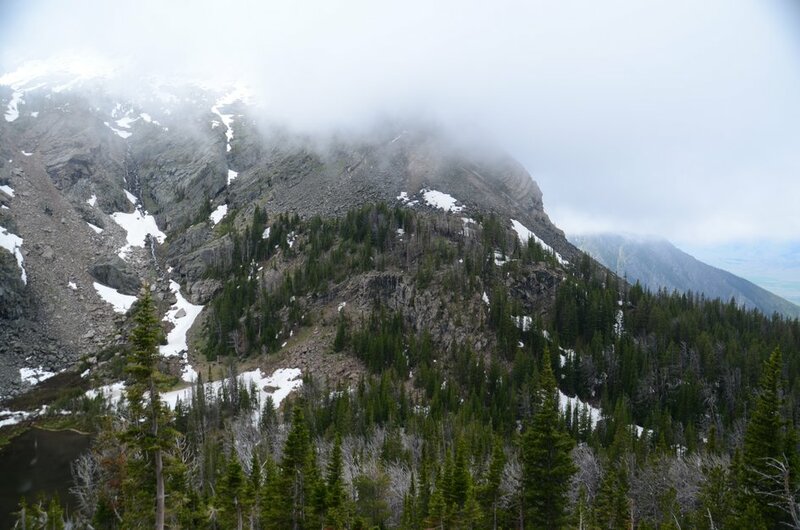 You'll be out service the entire route on the way to Pine Creek Lake. 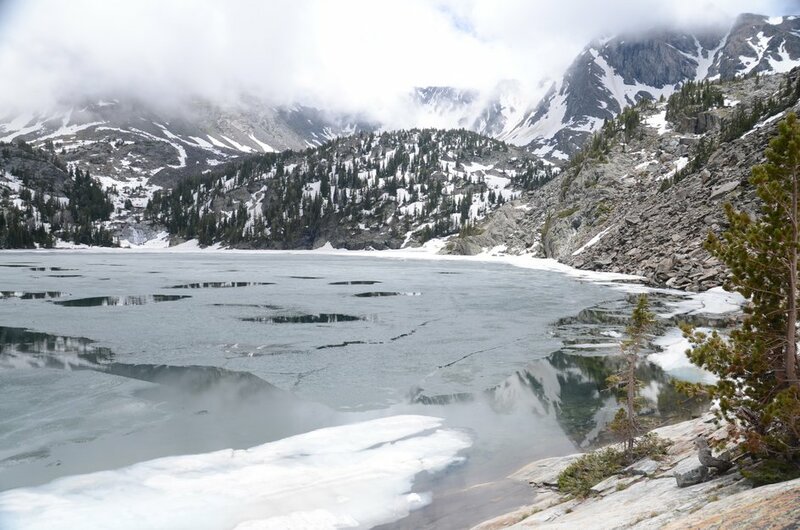 Pine Creek Lake is a popular overnight spot to backpack to. You'll find plenty of tent sites due to moderate amounts of use, but you may also be facing competition for them. A relative lack of trail connections makes the lake ideal for single night trips. Don't forget your fishing pole, FWP stocks the lake with Yellowstone Cutthroat. 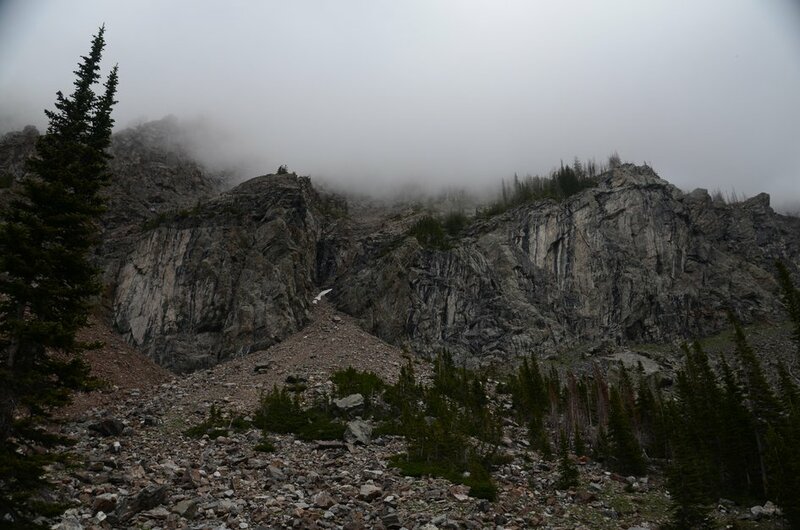 If sleeping in a tent isn't your thing, the Forest Service operates a campground located right at the trailhead. 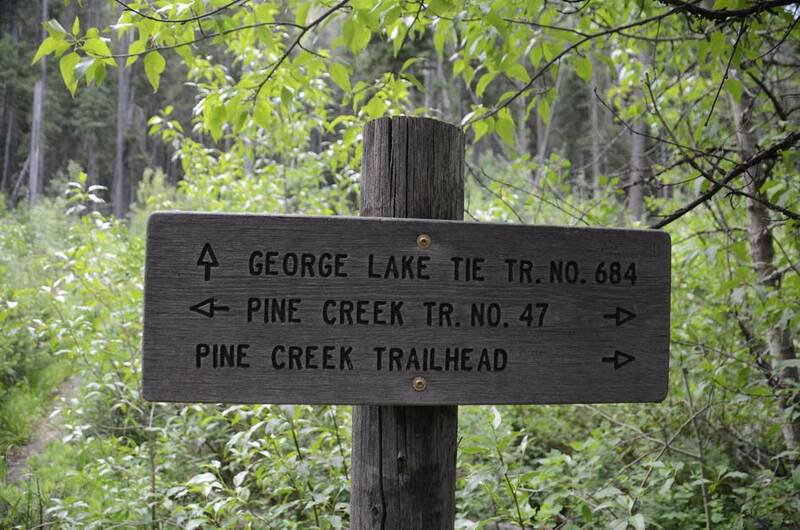 Quickly after starting the hike to Pine Creek from the Trailhead, you'll see a sign for George Lake to your right. It's a dead-end five mile trek. 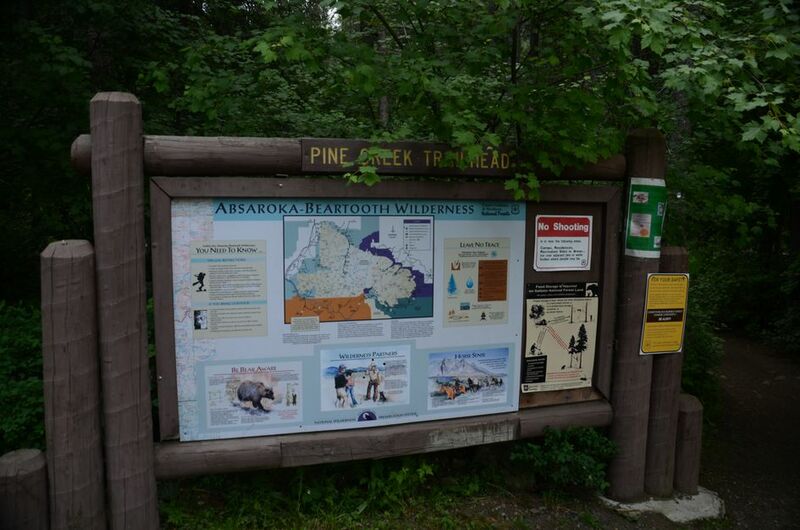 George Lake Also has its own trailhead at the west end of Pine Creek Campground. 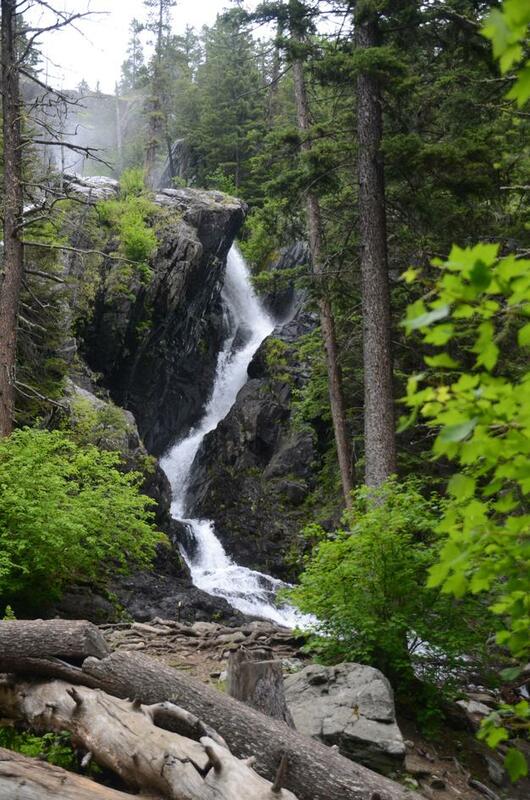 A popular version of this hike ends one mile in at Pine Creek Falls. 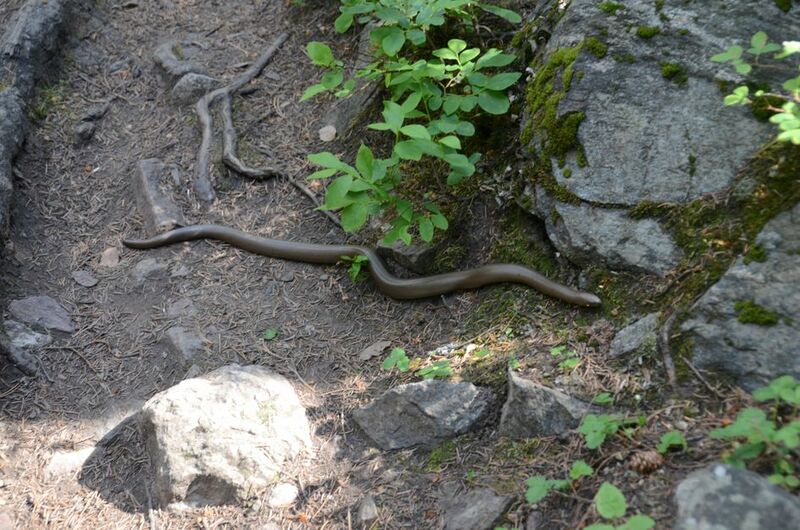 It's a flat, easy hike with a beautiful destination, perfect for families and photography.